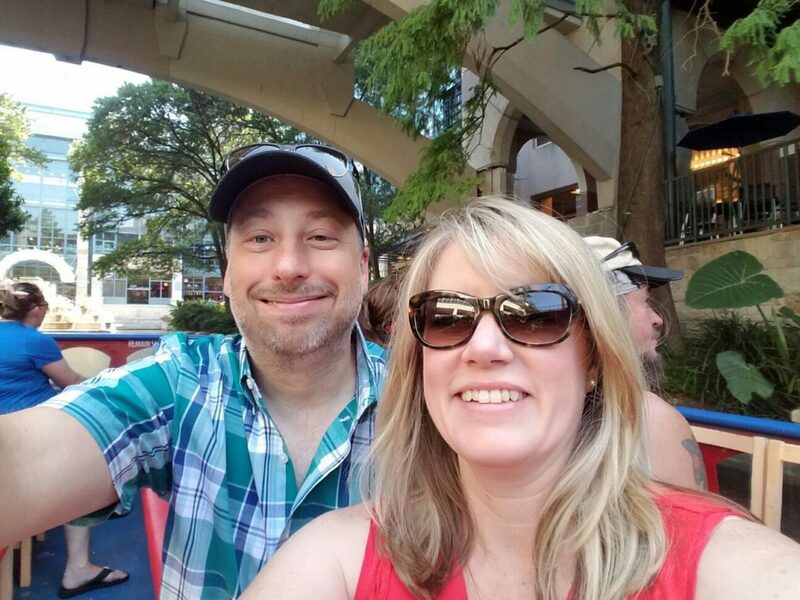 San Antonio – Live MoHo! 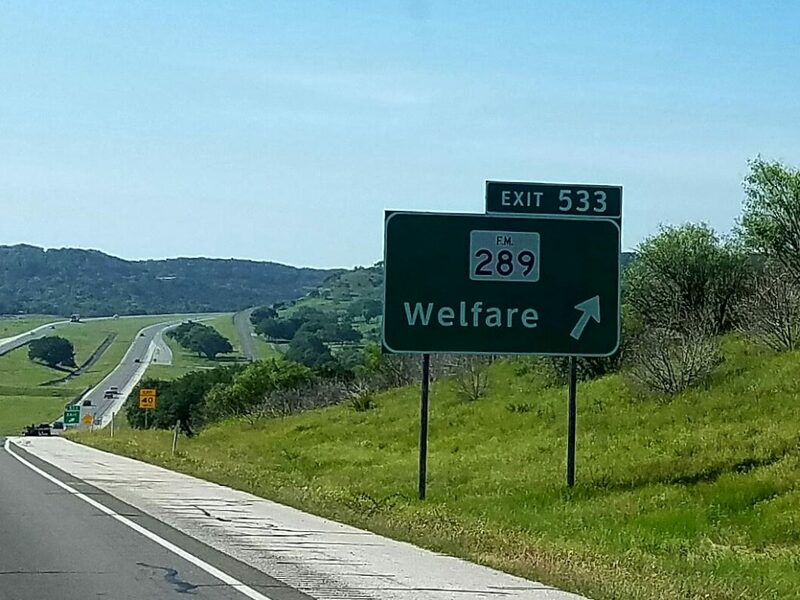 We decided to drive to San Antonio today. I have been to the city at least 3 times for business, and each time I vowed to return someday when I actually had time to see the sights. Specifically, I wanted to see the Riverwalk and the Alamo – both of which I had seen from the windows of a hotel and/or a cab. Today was going to be that day! We pulled into town and parked in the parking garage at the Rivercenter mall. Its not the closest place to the Alamo, although it is very close – 5 minute walk – nor is it the cheapest at around $18/day, but we wanted the shade and most of the other lots were exposed to the sun. 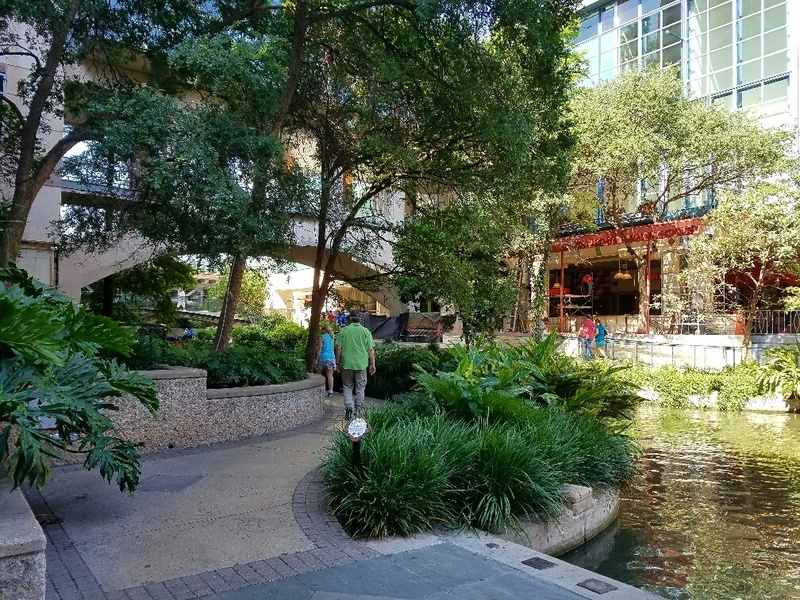 We walked through the mall, past all the giant banners advertising the Battle for Texas interactive experience and the posters for Fogo de Chao and headed for the Riverwalk lagoon. The Riverwalk came to be in a series of steps. 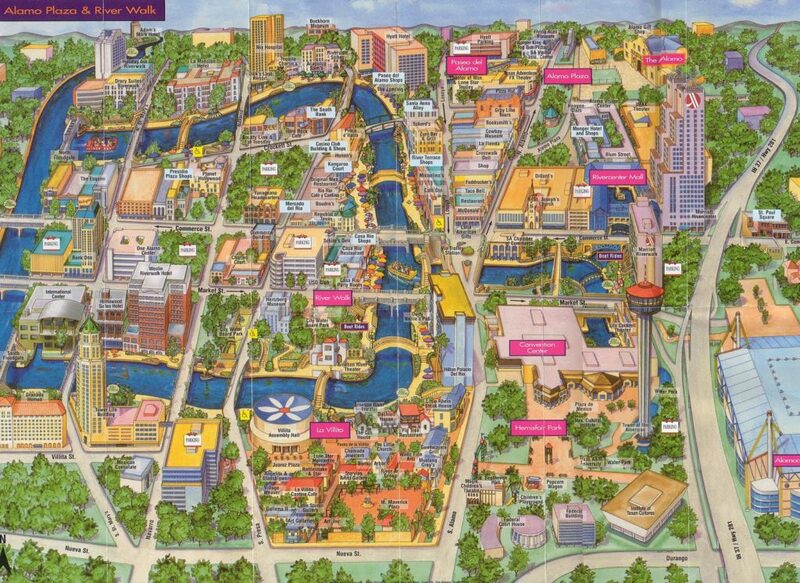 Downtown San Antonio was built, like many cities, along the banks of the San Antonio river. Specifically a bend in the river that was perfect for tucking a new city into. Unfortunately the river tends to flood and in 1921 an absolutely devastating flood ravaged the downtown area. To prevent a recurrence, several flood control dams were proposed along with bypassing the river bend that went through downtown. Instead, the proposal was to turn that loop into a storm sewer and then cover the top putting the entire thing underground. To the San Antonio Conservation Society, this seemed like a mistake and a lost opportunity. In 1926 they managed to halt the plans for the storm sewer but it wasn’t until 1929 that an alternative proposal emerged. 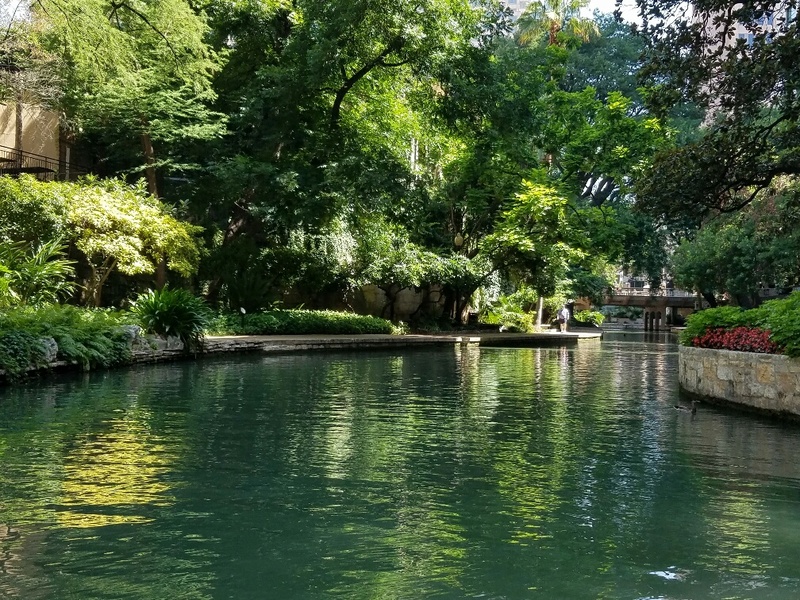 That year, architect and San Antonio native Robert Hugman came up with the plans for what would become the river walk. He moved his offices to the area, which was a bold move considering that the area was still prone to flooding. In fact, the military made the area “off limits” and most people avoided the area entirely if it looked like rain might come. It wasn’t until 1938 that bonds were raised and in 1939, with the help of the WPA, construction began. In 1946, another flood tested the floodgates, which worked as designed, and public confidence soared. Casa Rio moved in that year, the first restaurant to open at river level. River level is 1 floor below street level. We began with a boat tour – of course! 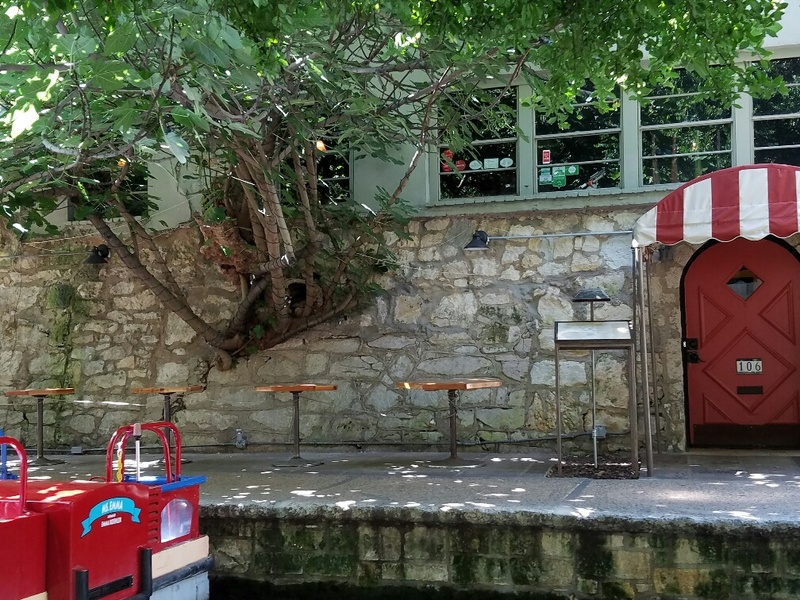 Boat tours are a lot of fun and the guides are knowledgeable about the history of the riverwalk and the businesses along its banks. This time of year the foliage is in full “bloom” and it is very lush. With sidewalks right along the water, many interesting restaurants and shops, bridges overhead, and other boats, the riverwalk was an incredibly interesting place! I remember thinking about all the times I was right next to this for work and never set foot on it. 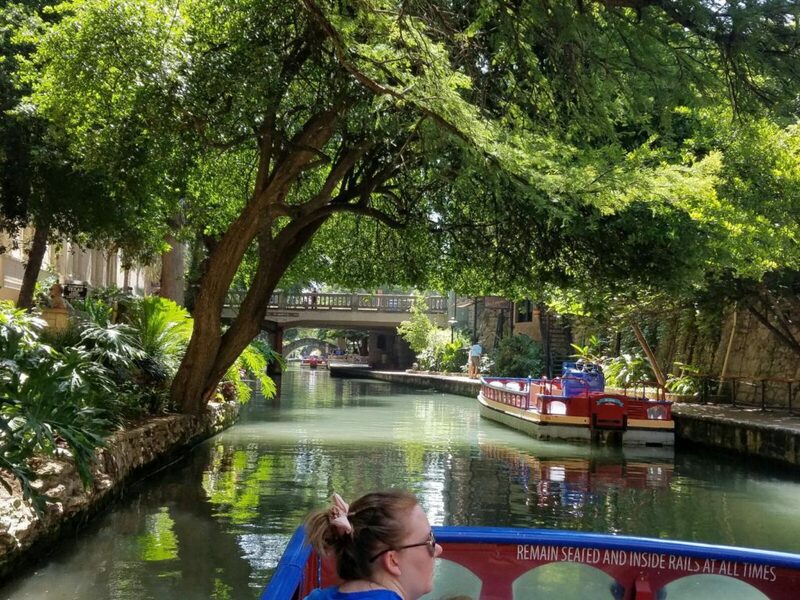 The boat ride is wonderful and relaxing – everything is green and harmonizes so well with the river-level restaurants and shops. One interesting story surrounds a tree growing right out of the wall. The flood of 1926 washed a seed into a small crack in the limestone wall. Undaunted, the seed sprouted and has grown into a full size tree (quite a bit of the tree is inside the restaurant). We saw a lot of ducks enjoying themselves on the river. 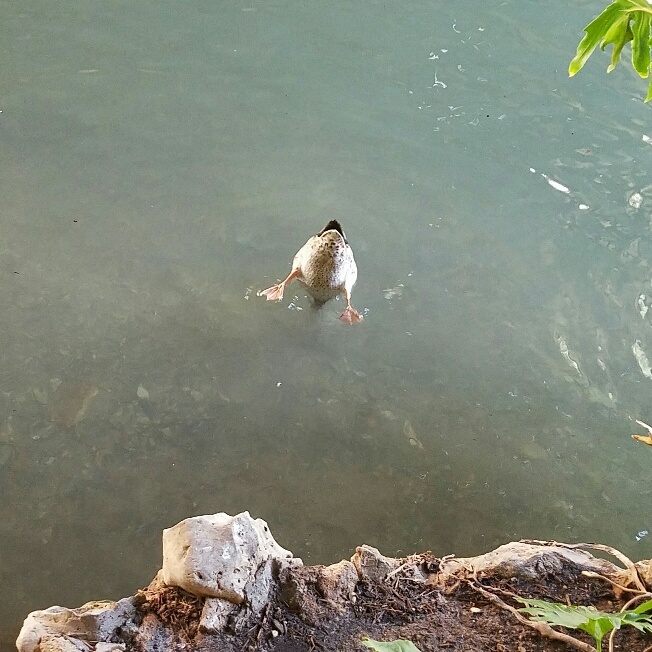 This guy was diving for dollars – or bugs – on the bottom and this was pretty much all we saw of him for minutes at a time. 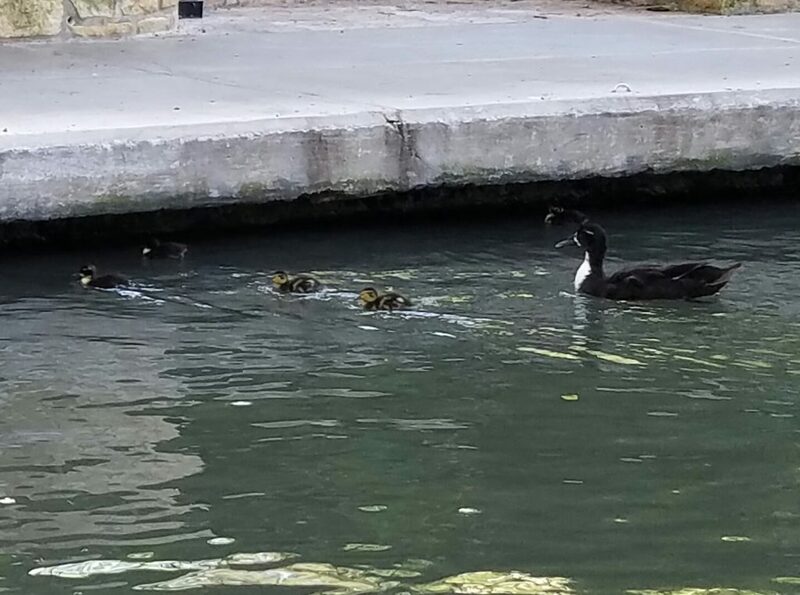 It was also duckling season and we saw several duck families on the water. The boat drivers always slowed down or even stopped to let the little ducklings get out of the way. We got off the boat with a healthy apetite and walked along the river looking at Yelp reviews. 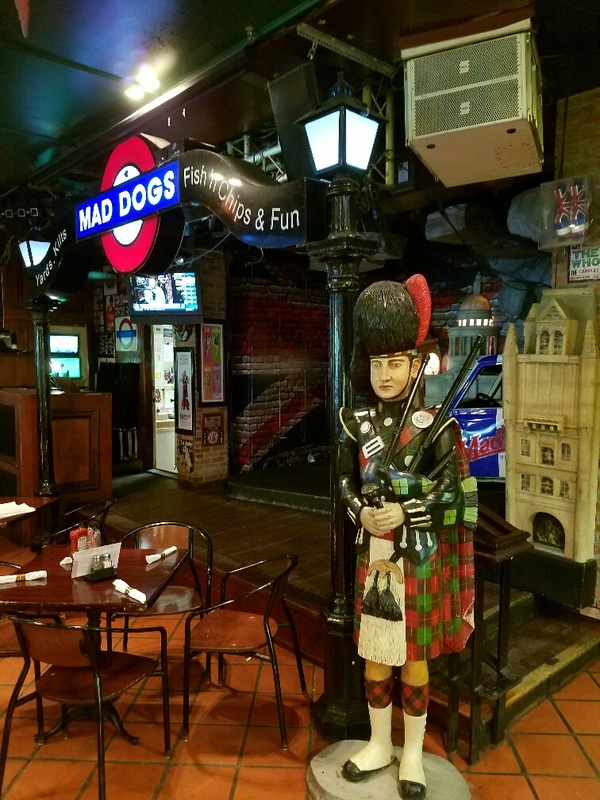 We settled on a British Pub called Mad Dogs. 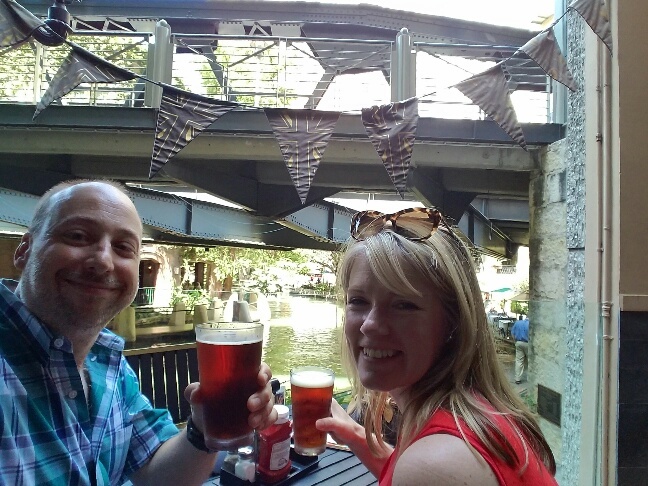 Mad Dog’s had seating outdoors and it felt like we were sitting right on top of the river. Probably because we kinda were. 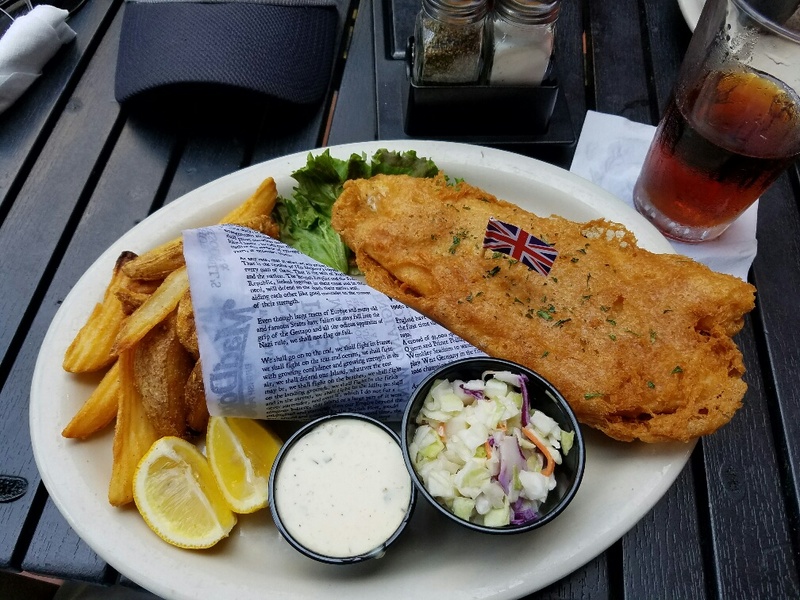 Of course, I had to try the fish and chips. I’m pleased that they didn’t even attempt mushy peas, which are almost never done properly in America. Sadly, they are less and less likey to be done right in the UK too. The fish was great and so were the chips! The tartar sauce had a little bit of spice in it that gave it a nice kick. I would definitely return to Mad Dog. Also, if you check in on Yelp, you get a free dessert – we had the Irish Cheescake and it was delish! Apparently the owner himself makes the Irish coffee glaze that goes on the cheesecake. 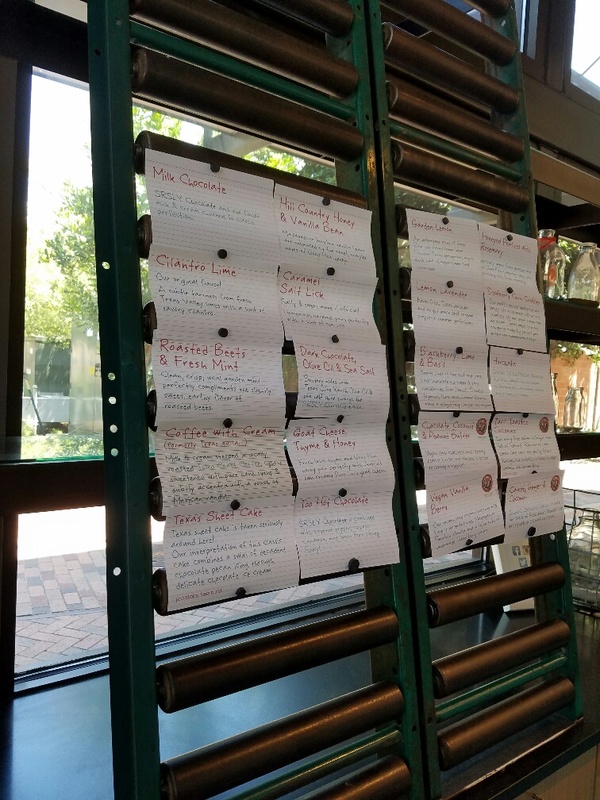 If you come to San Antonio for work – which is common since the convention center is right next to the riverwalk – don’t be like me. Find an hour or two and go see it! The other must-see for me was the Alamo. 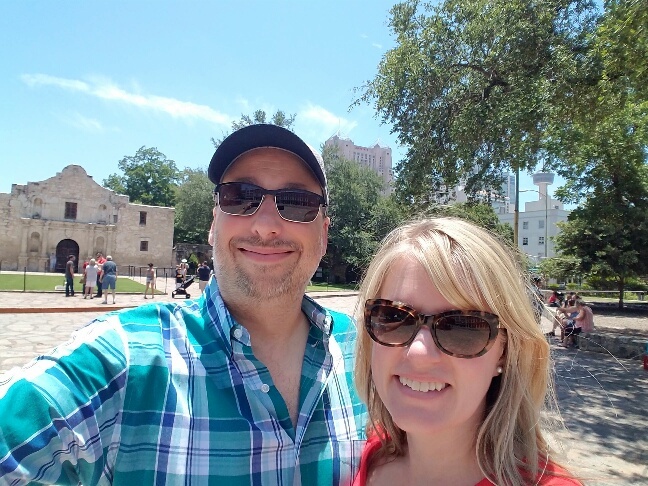 I won’t go into the full history of the Alamo – there are plenty of sites on the Internet for that – but it was very cool to see such an iconic spot and one which played such a pivotal role in Texas independence from Mexico! 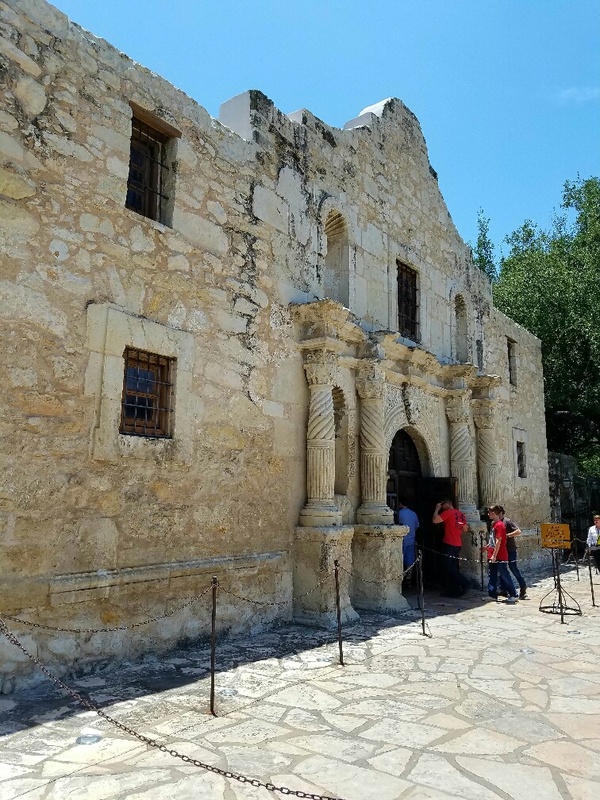 No photos are allowed inside the Alamo because it is a memorial to the fallen defenders who, against all odds, tried to hold off the forces of Gen. Santa Anna and in doing so made the ultimate sacrifice. 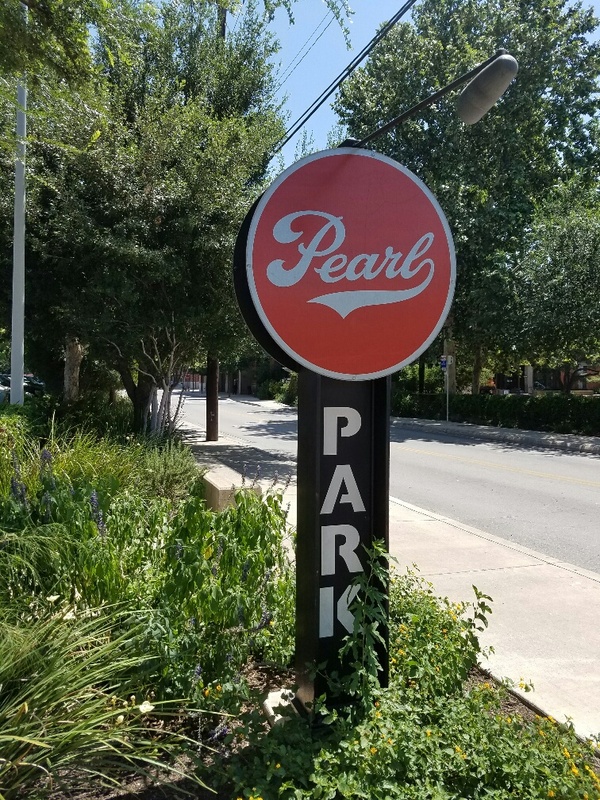 Heather had one more spot on the agenda – the Pearl! 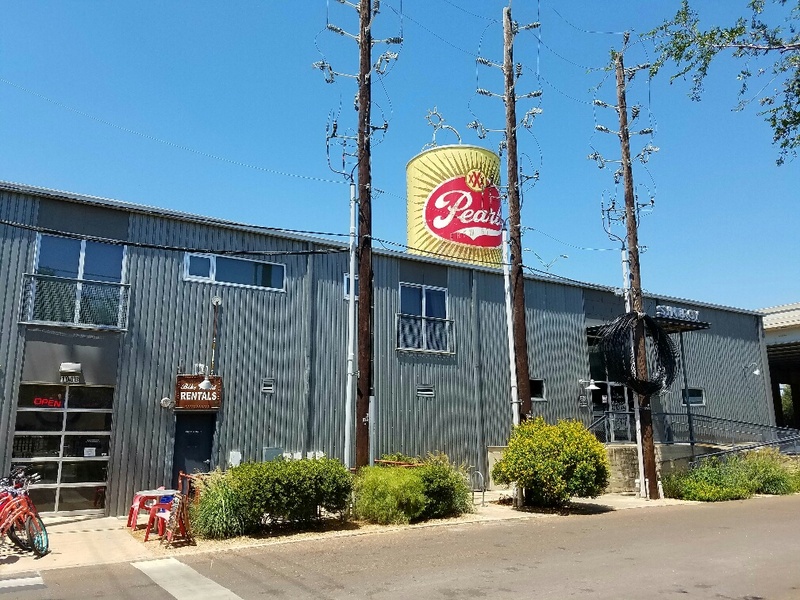 Its an old brewery that is undergoing a massive gentrification. There is once again a brewery on site, although this is now a micro (vs. macro) brewing company. The Culinary Institute of America has an office here, and a number of other trendy restaurants have moved in. 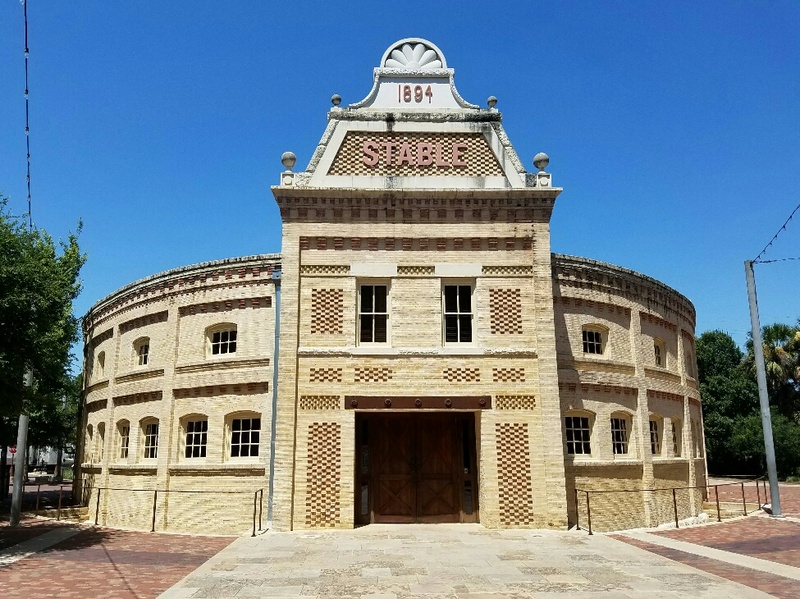 The original stable is still here and in excellent condition considering it was built in 1894. Today it is used as an event space. Our goal was Lick. Honest ice cream. Lick’s logo looks like a tongue and ours was hanging out when we saw the flavors. 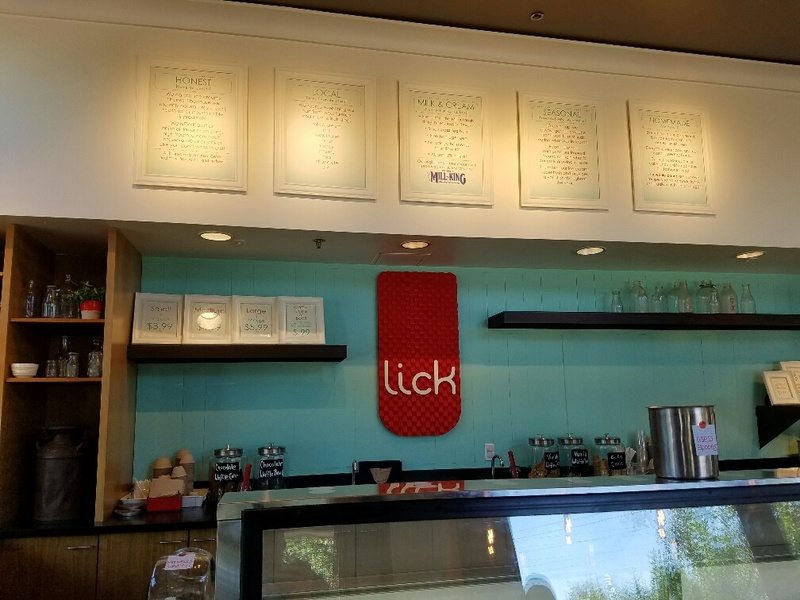 Lick makes its ice cream from all local ingredients and that dictates the flavors, many of which are seasonal. Our sweet tooth was satisfied and we headed back to Kerrville. One thing I will say is that San Antonio has been growing like crazy and has outgrown its highway system. Driving here reminded me very much of driving in California, and not in a good way. After the empty spaces of Arizona, New Mexico, and Hill Country the traffic was a bit of a shock!